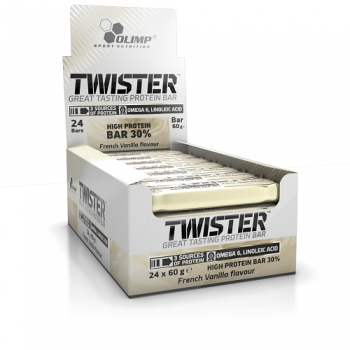 Gladiator® 60-gram bar contains 36% of protein. Contains filling with peanut, coconut or caramel oil. Each bite provides exciting sensations and provides valuable nutrients! 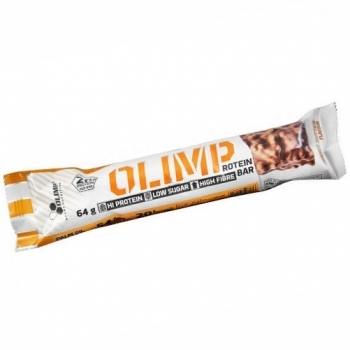 It is ideal as a snack between basic meals or simply as an additional source of protein. Gladiator® contributes to the growth and maintenance of muscle mass. Flavours: Brownie, Cream With White Chocolate, Peanut Caramel. Ingredients: 23,3% chocolate coating with sweetener (cocoa mass, sweetener - maltitols; cocoa butter, milk fat, emulsifier - lecithins (from soy), natural vanilla flavouring), 19,5% milk protein, 18,3% caramel flavoured layer (bulking agent - polydextrose; vegetable oil (soy), skimmed-milk powder, sweetener - xylitol; emulsifier - lecithins (from soy), salt, flavourings), hydrolysed wheat gluten, humectant - glycerol; 5,0% soy crisps (soy protein), 2,8% soy crisps (soy protein, fat-reduced cocoa, tapioca starch), vegetable oil (soy), cocoa nibs, flavourings, salt, sweetener - sucralose. 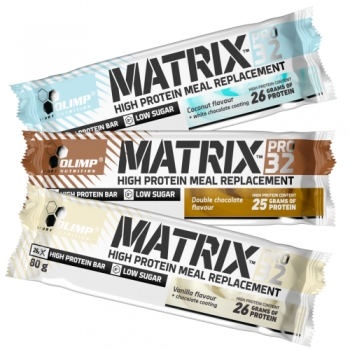 Depending on individual requirements and diet, 1-3 bars per day are recommended.